Pauline Stainer, Tiger Facing the Mist (Bloodaxe, 2013). Pauline Stainer is noted for her minimalist, acutely precise poetry, working through an accretion of images, a balance of the concrete with the subliminal or spiritual, writing in John Burnside’s words “at the margins of the sacred.” Her range of reference is wide; mythology and Christianity are yoked together with 21st century science, physics, chemistry, astronomy and optics as she seeks to bring the spiritual iconography of the past into the present. Tiger Facing the Mist, her eighth collection, is exquisite, both a continuation of her earlier work and a distillation of style and technique so spare as to be almost “white on white” but there is also a volte face, where she embraces the physical world with an explosion of colour, poems full of “jouissance.” However, she is too fine a poet not to also confront the fear of evil and danger in the world and these poems of colour and sunlight are hedged with poems of hesitancy, of mist and greys, the poet’s self-doubts and the almost impossible and yet necessary task of expressing the inexpressible. 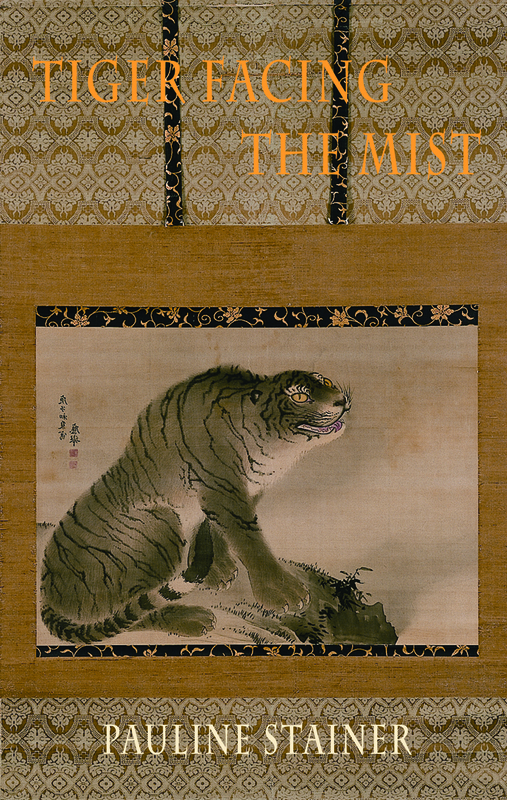 The title poem holds physical and spiritual realities in balance; the tiger’s amber eye, the dangerous and fierce world of the tiger “moving / through mountain mist,” is symbolic of the new journey taken in this collection. At first, we are in familiar territory with Stainer’s lexicon and iconography. Living in Essex, then for some time on the island of Rousay, Orkney and now returned to East Anglia at Hadleigh in Suffolk, Stainer’s obsession with Anglo-Saxon and Viking myth, and Early Christianity in the North of England is reflected in this collection. Poems on George Herbert sit with the early English, Northumbrian Saint Cuthbert and his otters, animals and creatures found in mediaeval tapestries, and legends: white gyrfalcons, deer, white hare, white owls. In this collection she also explores Inuit shaman beliefs and turns east to India, Vietnam and Japan where her creatures include flying squirrels, humming birds, snow-leopards, elephants, geckos, salamanders and parakeets. of a fox on the fire escape. That Stainer sees parallels between the poet and the visionary experience of shamans is clear; the failure of their task to protect mankind from evil, some brought about by humanity’s misdeeds against the natural world echoes the poet’s doubts. What these are is not spelt out: the value of poetry perhaps, the struggle to articulate the inexpressible, or to reconcile the evil in the world with the spiritual? A series of poems hints at a half-way state of shadow, and “displacement of light” where the word “fallow” linked with the colour blue, even “blue on blue” comes to mean a necessary period of adjustment. Although Stainer makes no reference to it in her poems, she has said at readings that her previous collection came out of mourning for the death of her daughter; the poems in the central section of this collection may also spring from this source. Titles such as ‘Orkney Epiphany’ and ‘A Kind of Quickening’ suggest hope and rebirth. It is an intense experience reading these tight and economic poems, where accretion of imagery works by juxtaposition rather than a narrative link and they require “slow reading” for the many layers to emerge. The effort is so rewarding it is clear that Stainer is one of our finest poets.